Booking Details: Free Admission. Interval refreshments. Retiring collection for church funds. 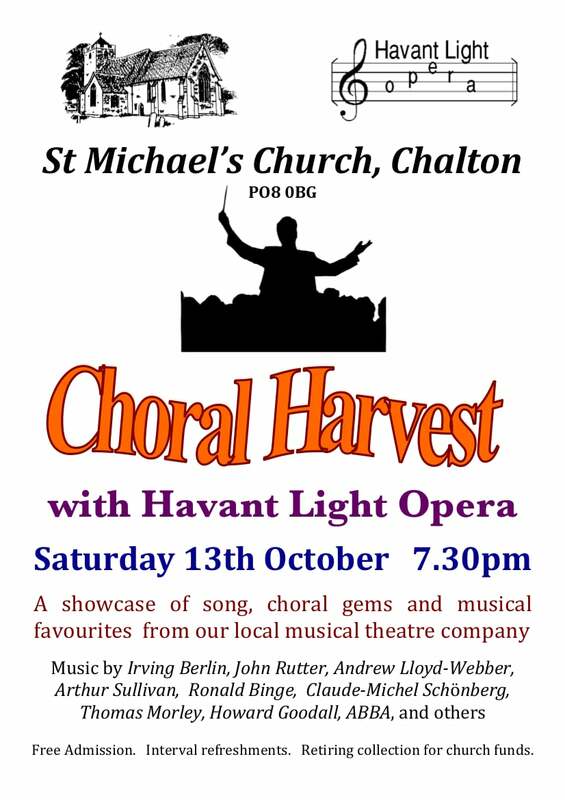 A showcase of song, choral gems and musical favourites from our local musical theatre company. Music by Irving Berlin, John Rutter, Andrew Lloyd-Webber, Arthur Sullivan, Ronald Binge, Claude-Michel Schönberg, Thomas Morley, Howard Goodall, ABBA, and others.